The three months at the end of last year marked a time of transition and change for the Must Farm project. 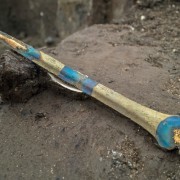 The dig had ended and there was a shift towards focusing full time on various elements of post-excavation. 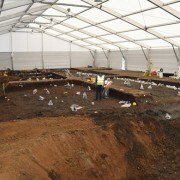 Most of the archaeologists who worked on the physical excavation of the settlement moved onto new sites while a smaller team began to compile all the information collected over the 14 months of excavation. 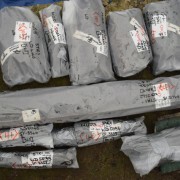 Over the course of the excavation we sent off a large amount of small, wood identification samples. These were pieces of wood, varying in shape and size from all over the site. As we worked methodically across the settlement recording timbers, posts and woodchips we always attempted to visually identify wood species. There are two key types of wood we could identify in this manner: oak and ash, using their distinctive ring porous structures. However, many pieces of wood, such as those from the wattle panels, were not possible to successfully ID on site. 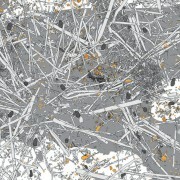 Instead we removed tiny sections to be sent away and identified using microscopy by a specialist. Both these sets of samples are being studied at the moment and will play a huge role in helping us to understand more about the settlement. Both radiocarbon dating and dendrochronology will be critical in determining the longevity, or lack of it, of the settlement’s lifespan. Equally, identifying species allows us to see the selection of different woods for specific tasks. It will also give us an insight into what environments the wood is coming from, whether local or otherwise. 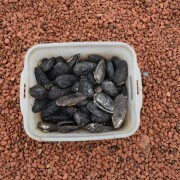 Image showing some of the organic residue remaining inside one of the Must Farm vessels. 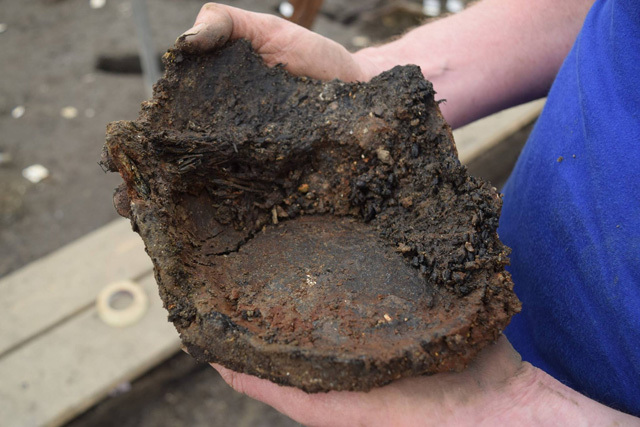 One of the most exciting, and widely reported, finds from the Must Farm settlement has been the survival of food crusts inside many of the pots. The fire which destroyed the structures helped these organic materials to survive in a very charred form, raising the tantalising possibility that we’ll be able to see exactly what meals were being prepared at the time of the blaze. Last September, we sent a number of these vessels containing residue away to specialists for analysis. The whole team is extremely excited to learn more about the charred remnants and see how they compare to the organic traces emerging from the environmental samples. As we were excavating the occupation deposits from the interiors of the collapsed building we came across a huge number of fascinating artefacts. 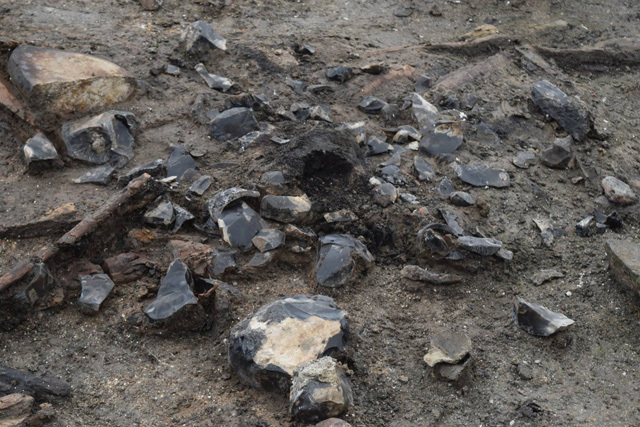 Many were particularly surprising, including the shattered remnants of a flint quern. 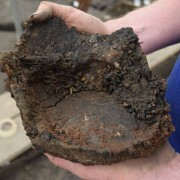 The flint has been heated to a high temperature as it was inside one of the structures during the large fire which destroyed the settlement. When the floor collapsed and the heated quern hit the water, it shattered. Each of the stilted roundhouses at the settlement has included a quern-stone in their inventory, but the presence of one made of flint seemed unusual. Most prehistoric querns tend to be made from a gritty stone, such as granite or hardened sandstone, so initially it seemed odd to find one created using flint. Image of one of the heat-shattered flint querns recovered from the settlement. Recently, one of our specialists has examined the flint quern-stone and made some very interesting observations. If a quern was being used to process plant remains, we would expect to see identifiable handstones (hard stones used above the main body of the quern to crush). However, there don’t seem to be any present from the site anywhere in the assemblage. Equally, the flint quern-stone from Must Farm has an exceptionally flat surface which differs from many prehistoric examples. Typically, when a hard stone quern is used for grinding the surface develops a prominent indentation where the handstone is rubbed against. Perhaps the flint quern was very new and had not been used enough to develop a prominent depression. This interpretation would certainly tie in with the notion that the settlement had not been lived-in for long before the fire cut-short its lifespan. Alternatively, the quern may have been used differently and the flint was chosen specifically for this reason. Over the course of the excavation we found a plethora of wooden objects and implements, many of which have rarely, if ever, been seen in a Late Bronze Age assemblage. One theory we are currently exploring is that the quern is flat as it would have been used with a wooden implement. This examination is still at an early stage and more investigation into both the quern-stones and the wooden implements potentially associated with them will continue throughout the coming months. 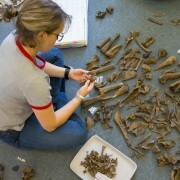 Almost every aspect of the material from the site is creating questions and testing existing theories about artefact types alongside the Late Bronze Age. Our examination of the metalwork is still at an early stage. 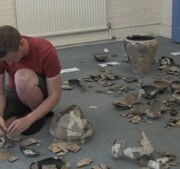 With such a large assemblage of varied tools and weapons to study, most of the work is currently ongoing. However, our specialists have begun to notice some interesting points about the numerous axes we have found from across the settlement. 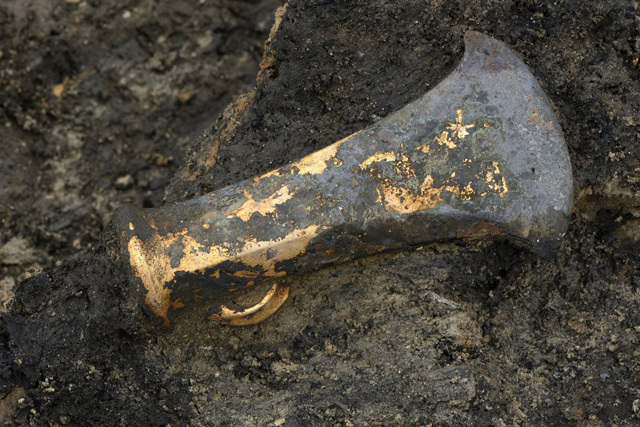 In-situ photograph of one of our socketed bronze axes. We have a brilliant range of different types of axe and despite their variation in styles, all date to roughly the same period during the Late Bronze Age. Upon closer inspection, many of these axes are incredibly well used and have been sharpened many times, changing their profiles from when they were first cast. 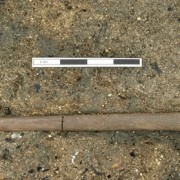 This wear on the blades is likely to have resulted from the construction of the settlement, which would have required extensive cutting and shaping of hundreds of timbers. Some of the axes show clear evidence of burning, indicating that they would have been kept inside the buildings at the time of the fire. However, a small number of the socketed axes show no sign of being burnt, suggesting they were deposited prior to the fire happening. One of these is a bronze axe complete with the entire haft, an absolutely phenomenal find from this period. Does the variety of contemporary axes with numerous styles suggest that they all had different functions? 2017 is shaping up to be an exciting year for the Must Farm project. We’ll begin to get our first set of analytical results back from a range of specialists. These results will be an enormous help and we can use the data to test out our current working theories. It will be fascinating to see how our current ideas hold up and where we’ll need to re-examine the evidence from the field. The excitement of archaeology, even during post-excavation, is that each day can hold fresh surprises and discoveries and we are looking forward to sharing them with you! 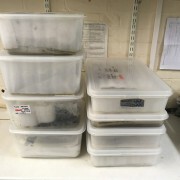 Post-Ex Diary 2: What is Post-Excavation?